Steph has a stellar CV, starting with her extensive training in the UK at the prestigious Bury College. Now, a passionate ambassador for Guinot here in Australia, Steph first trained with their products in 2008 while working at the award-winning salon Aura in 2008 – 2011 in the UK. In 2011, Steph moved to Australia and has been a highly skilled and valued member of the ORBE team ever since. Having been at the forefront of beauty – using brands before they became mainstream in Australia; Steph is responsible for introducing cult brands such as Guinot and Jessica Nails to ORBE. Such is her passion for Guinot, in 2012 Steph was crowned Ambassador for SA & Victoria, placing second nationally in their inaugural and highly acclaimed Guinot Ambassador of the Year awards. Steph is a highly skilled in all aspects of beauty. Her precision skill means she is a highly sought after for her masterful slight-of-hand applications of full set volume lashes. 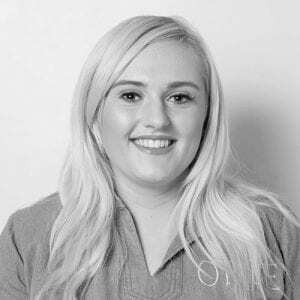 In 2018 Steph led ORBE to win Guinot’s “State Salon of the Year 2018”. See more about Steph here.